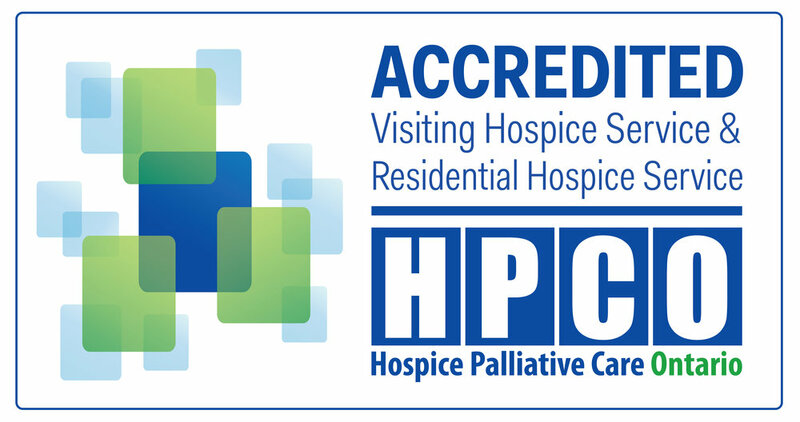 The June Callwood Award was established in 1994 by the Hospice Association of Ontario, now Hospice Palliative Care Ontario, to acknowledge and thank outstanding hospice volunteers throughout Ontario. The award was named in honour of the late June Callwood, the Award Patron, and long-time advocate of hospice, community activist, author and recipient of the Order of Canada. June was the inaugural recipient of the award… since then, 706 hospice volunteers have been inducted into the Circle of Outstanding Volunteers. Volunteers are special people – a view strongly held by Ms. Callwood and expressed by her on many occasions, during interviews on TV and radio, remarks at annual conferences, and through her writing. Her book, Twelve Weeks in Spring, captured the spirit of hospice and emphasized the importance of the many and varied contributions of a team of volunteers. In all her years as a journalist, author, broadcaster and humanitarian, June Callwood’s name became synonymous with integrity, talent and passion for social justice. She has touched the lives of generations of Canadians by giving that passion expression through her words and through her work in the service of those in need. The June Callwood Outstanding Achievement Award for Voluntarism recognizes individuals and groups for superlative volunteer contributions to their communities and to the province of Ontario. Jane Smith - 2017 - Jane, a former Board member, has lived in the Collingwood area for 30 years. Jane started in 1988 as a volunteer and then graduated to HGT's Board in 1989. She stayed on the Board for 11 years and served as Secretary, Treasurer, Vice-Chair, Chair and also helped with fundraising. As a volunteer, she conducted community assessments and served as Volunteers Coordinator. Corry Brockwell - 2016 - Corry has been a volunteer with HGT since 2011. Over the years, she has been keen to grow as a volunteer, participating in training that has been offered such as the Fundamentals of Palliative Care, Grief and Bereavement, and Food Handling and Safety Training. There is no doubt that Corry leads by example; she volunteered at the Susie Newton Respite Suites, has provided respite in the home and has been a visiting volunteer for those requiring one-on-one Bereavement support. Eleanor Pask - 2015 - Presented posthumously, Dr. Pask was a long-time, dedicated supporter and volunteer with HGT. Dr. Pask was a Nursing Professor at York University before moving to Collingwood. Among the many tasks she did for HGT, was to write and edit HGT's quarterly Newsletter. Nancy Franks – 2014 - Nancy was one of the original visionaries who shared a dream of exceptional end of life care for patients and their families in the Georgian Triangle. Nancy’s compassion and dedication have helped so many people and she exemplifies what the June Callwood Award represents. Rebecca Wall – 2013 - Rebecca was on the founding Board of Hospice when it incorporated in 1987. What a compassionate and politically motivated resource this woman has been for HGT! Sitting now as Past Board Chair, she has been Chairman, Director, a New Volunteer Training instructor, a liaison with respite suite staff and a volunteer. Friendly and open-minded, this extraordinary woman has been instrumental in helping prepare the way for a future residential Home in the South Georgian Bay area. Betty Schneider – 2012.- What an honour to name Betty as HGT’s June Callwood Award Winner for 2012. Betty is everything June Callwood espoused as a strong, vital volunteer. Betty established integral ground work for the Grief and Bereavement programming in support of adults in the South Georgian Bay area over the past ten years, and still is one of its main supports as a facilitator. Many of Betty’s clientele have attested to a “very strong, dynamic woman that you would turn to in a crisis”, “a very gentle woman who has survived grief and lived to tell the tale”, and another who states “She was someone who was able to see the real me through all my veils of anger and sadness and let me know I could heal”. Sharie Hawkins – 2011 - Sharie Hawkins is one of those pretty, gentle faces you take to immediately. This vital wife, mother of two, grandmother of four – has willingly devoted 10 years to Hospice Georgian Triangle in the respite care suite, in fundraising, transporting grieving children to HGT’s Rainbows Program and visiting with her client in community. Sharie’s client Audrey said in October 2010: “I love Sharie. She drops in, helps me out, picks things up, gets me to appointments. I feel SO good when that girl is in my home.” Audrey died in January 2011 but her testament to this extraordinary volunteer is one we all echo here at HGT: We all feel SO much better when Sharie’s around. Rob Fleming – 2010 - Rob Fleming has been with Hospice Georgian Triangle for eight years: in that time, he has had community and hospital clients; has been scheduled into our 2 bed respite unit supporting palliative clients on a regular basis; and is involved with our Rainbows support group for grieving children and teenagers. With a full-time job, a young family and many outside interests, Rob has never turned down a support request. Rob’s journey with HGT has never been egocentric or self-serving: with a focus on his dying client he is a light of serenity and comfort. With grieving children he is a source of strength and purpose that they too can, and will, heal. It is a privilege for the staff, Board and volunteers to work with Rob. Karen Potts – 2009 - Among all Hospices are volunteers we consider gems. At HGT, there is a sparkling diamond among our many gems – and that is Karen. As beautiful inside as she is out, this wonderfully compassionate woman has opened her arms wide to grieving children in the South Georgian Bay area. As the Director of our Rainbows Program, she listens to the woes and pain of these unraveled little lives and then helps them recognize and reweave back into the strong, supportive tapestry of community. Strong and capable, humorous and empathetic, she is what embodies a wise woman and invaluable community resource: we know how blessed we are to have Karen. June Callwood would have loved her!! Fran Dance – 2006 - One of our longest standing volunteers, Fran Dance is retiring from the volunteer sector for Hospice. Fran has spent 18 years ministering to the sick and giving comfort to families. Her strength, her knowledge, her capable hands and her wonderful sense of caring will be sorely missed by all of us here. The door is always open Fran, for you to come back and visit and share all your new opportunities with us over a cup of tea. Many, many thanks for the avocations for our seriously ill and palliative clients.